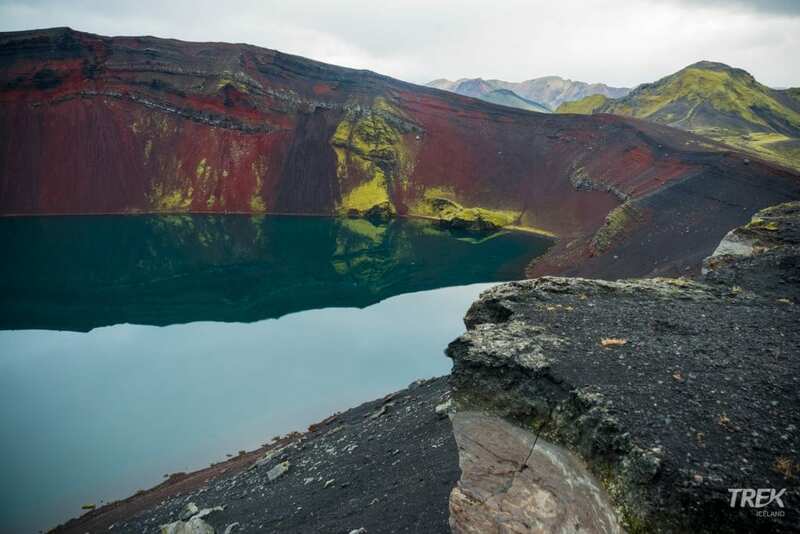 This trekking tour will take you to the best spots of the Landmannalaugar area - Lake Frostastadavatn, the ill-named Ljótipollur crater (Ugly Puddle), Brennisteinsalda volcano, Sudurnamur mountain ridge, Vondugil Canyon and Blahnukur peak. 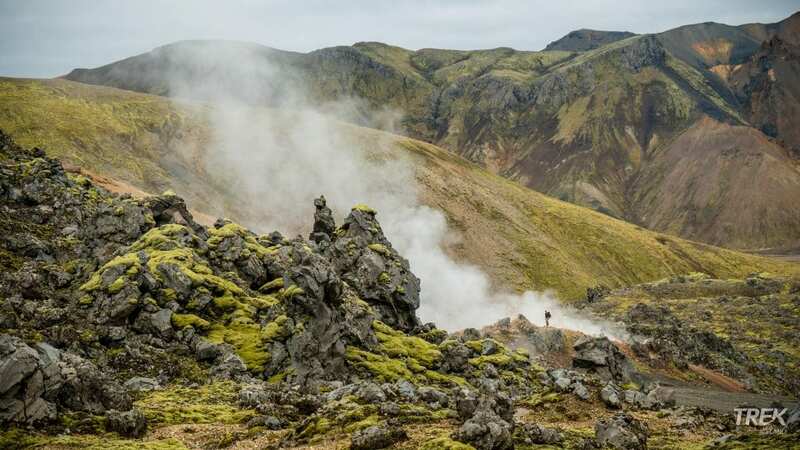 Enjoy hiking in a geothermal wonderland surrounded by colorful mountains, rhyolite hills and steaming fumaroles. 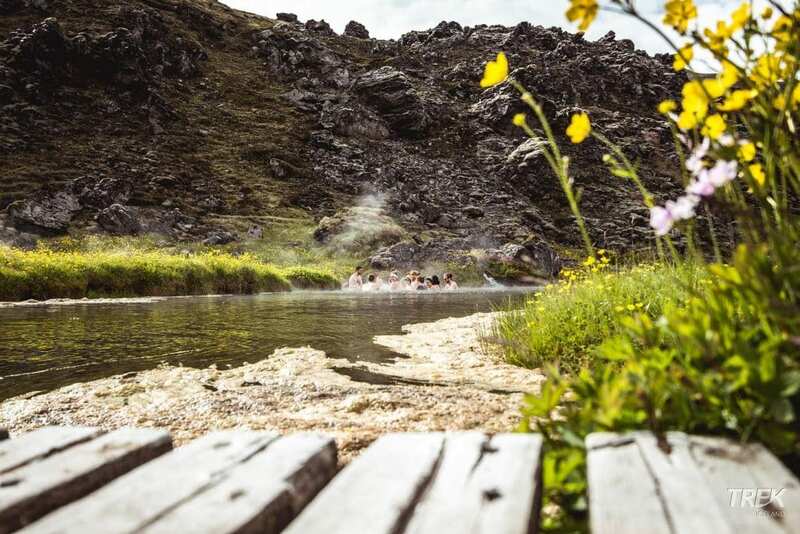 After each day we have a prime opportunity to relax in the hot spring pool of Landmannalaugar. 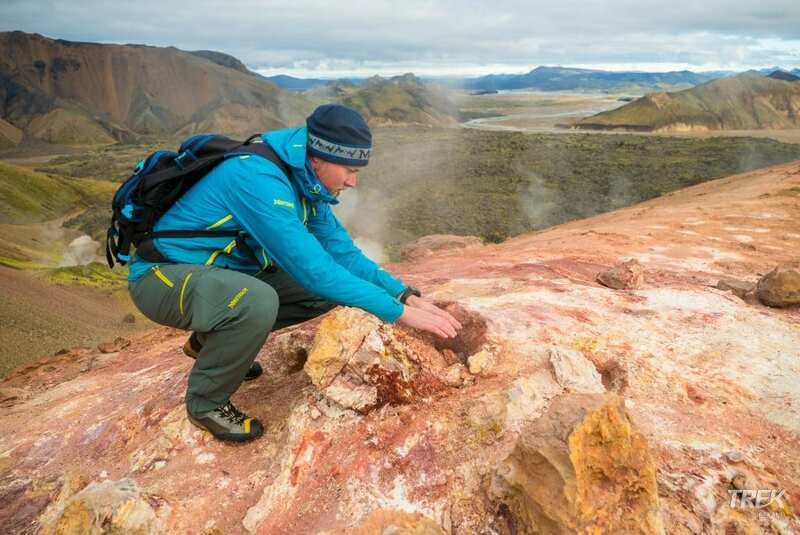 Our three day hiking tour to one of the most geothermally active areas of Iceland is ideal for all hikers and lovers of nature. 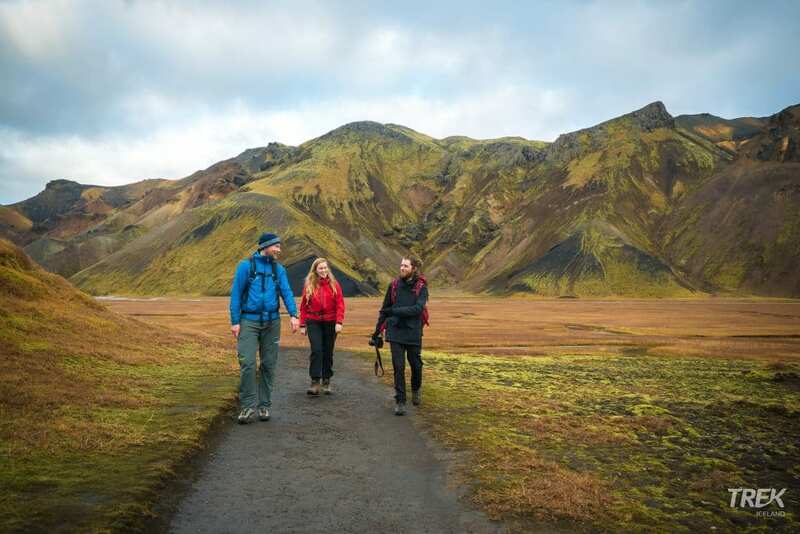 Landmannalaugar is a popular hiking destination among locals, with great hiking trails from Landmannalaugar hut where we stay. 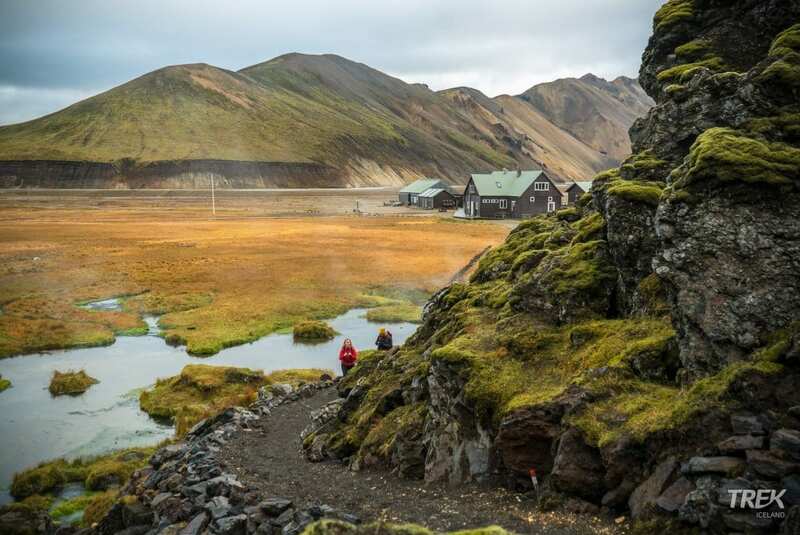 The famous Landmannalaugar hot sping is right next to our mountain hut. 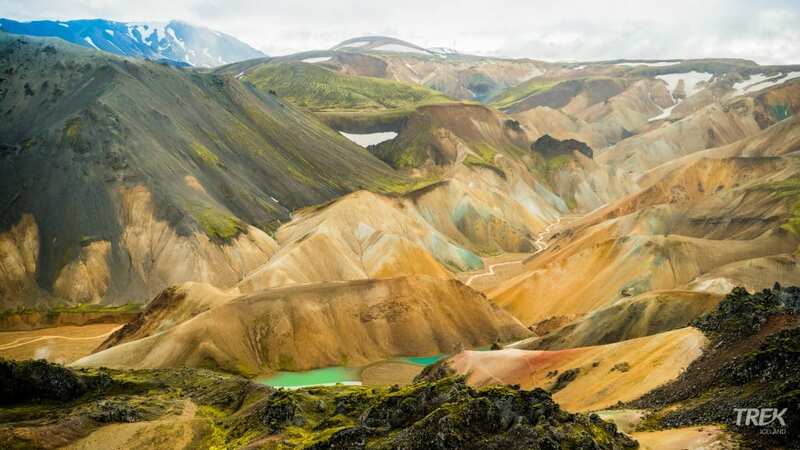 At last but not least, Landmannalaugar is the official starting point for the famous Laugavegur Trek ranked among the "20 Best Hikes in the World" by National Geographic. The tour starts by the Reykjavík tourist info at Reykjavik's City Hall (Ráðhúsið) by Tjörnin pond at 7.00 a.m. It's located in downtown Reykjavik and within walking distance from most hotels, hostels and guesthouses in central Reykjavik. After introductions, we board the bus that takes us to Landmannalaugar. We also offer pick up at selected locations around Reykjavik (see other pick up locations in tour description). From Reykjavik, we drive inland through the beautiful Thjorsardalur valley, named after the river Thjorsa, the longest river in Iceland, going onwards to Hekla Volcano. Passing extensive lava fields from previous eruptions we approach the Landmannalaugar area with its stunning peaks. After our lunch, we will set on a 10 km hike to the ill-named Ljoti pollur Lake, chosen one of the World’s Most Beautiful Crater Lakes. Ljoti pollur is an incredibly beautiful red crater filled with bright-blue water. After the hike, we will enjoy a rejuvenating bath at the natural steaming hot spring of Landamannalaugar. Today we will hike up to Sudurnamur, a 200.000 years old mountain ridge of rhyolite minerals. 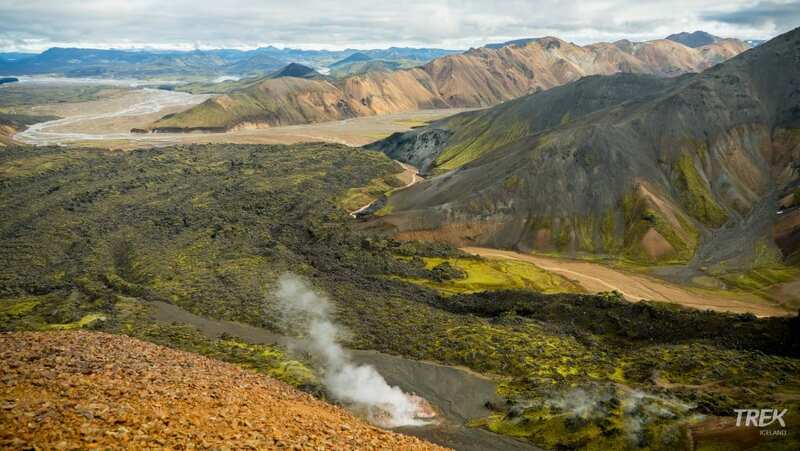 On the way up to the Sudurnamur you will enjoy numerous ravines and colorful sights of the area; and on its top a dramatic view of the Landmannalaugar empire, Mt. Kirkjufell, Laugahraun lava, Blahnukur volcano and Brennisteinsalda, the most colorful mountain in Iceland. The day is completely filled with stunning scenes of the Icelandic highlands. In the evening we will have the final chance (at least for now) to soak in the hot springs. After our breakfast buffet, we will continue on a 3.5-hour adventure going up to Blahnukur, a 60.000 years old volcano, known for its bluish shades and vast body. The hiking trail leads up to the top of the mountain from which, in good conditions, you will get a fantastic view of multiple glaciers. 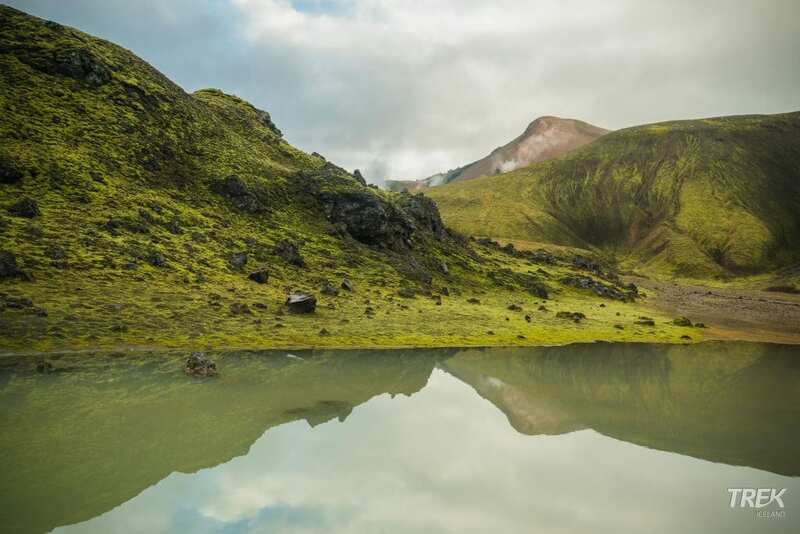 Blahnukur is one of the best places to do some panoramic Landmannalaugar landscape photography. On the top of the mountain, you will get a chance to really appreciate the powerful effect of the geo-dynamic activity on the landscape and your guide will be sure to explain all the wonders of the area. After coming down we will take a small break before we boarding a bus back to Reykjavik. We will arrive at the city center around 21:00 o’clock. *Stop only if passengers have requested prior.